This is a worksheet to check the pupils' understanding of a funny Garfield cartoon. You can easily watch the cartoon on the net. The address and the keys are included. 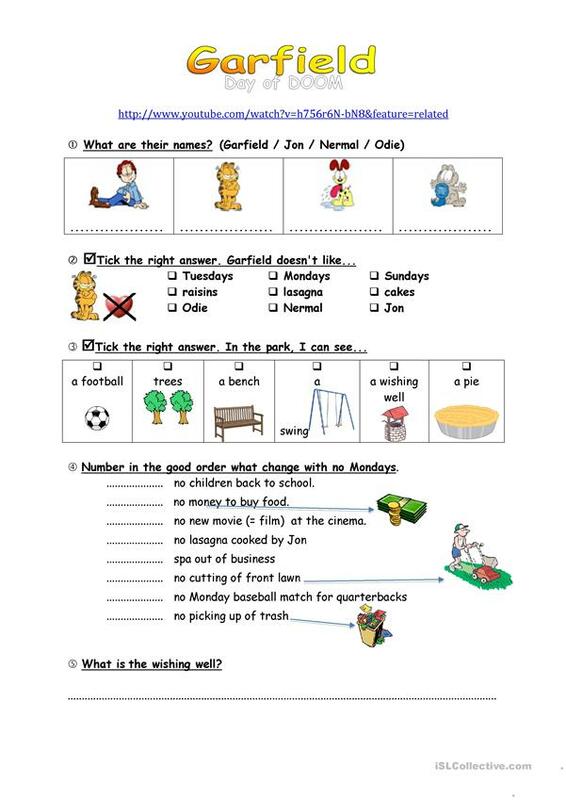 The present downloadable worksheet is recommended for high school students at Elementary (A1) and Pre-intermediate (A2) level. 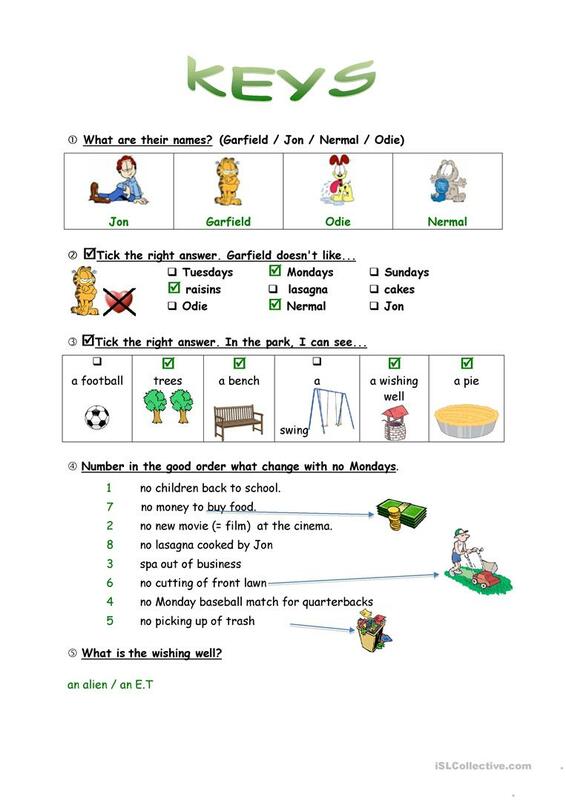 It is excellent for working on your learners' Listening skills. The solutions are provided, too. nanette25 is from/lives in France and has been a member of iSLCollective since 2010-10-23 05:48:57. nanette25 last logged in on 2017-04-12 17:14:13, and has shared 2 resources on iSLCollective so far.